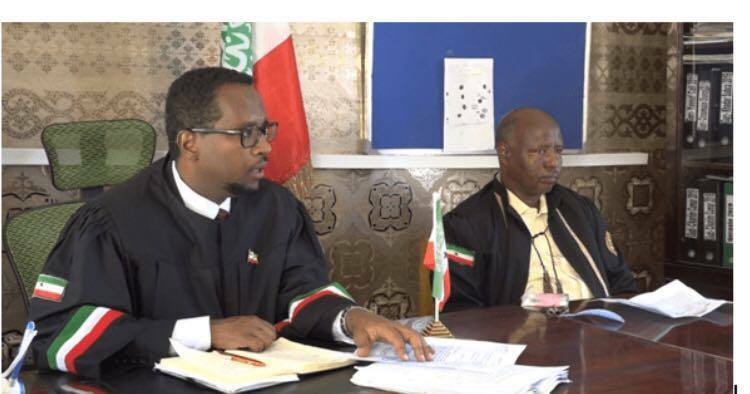 The move of the court away from its traditional seat, the capital, is aimed to expand justice. 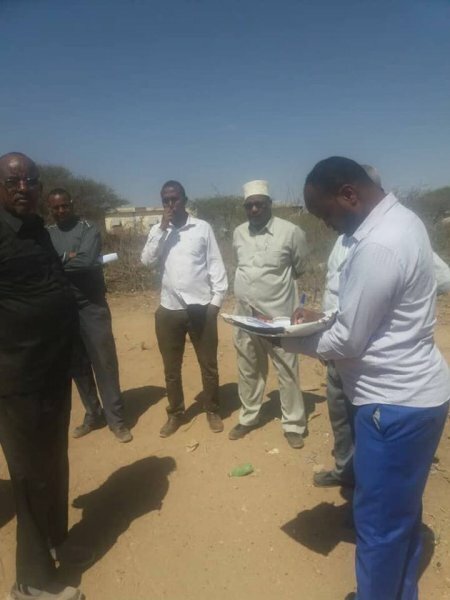 The Court will hear appeal cases taken from these regions and instead of demanding parties of a case to travel to the capital city, the court came to them. The Chief Justice is also hearing complaints. The Court visited prisons to check those who may be in prison without trials or who may need their appeals processed. 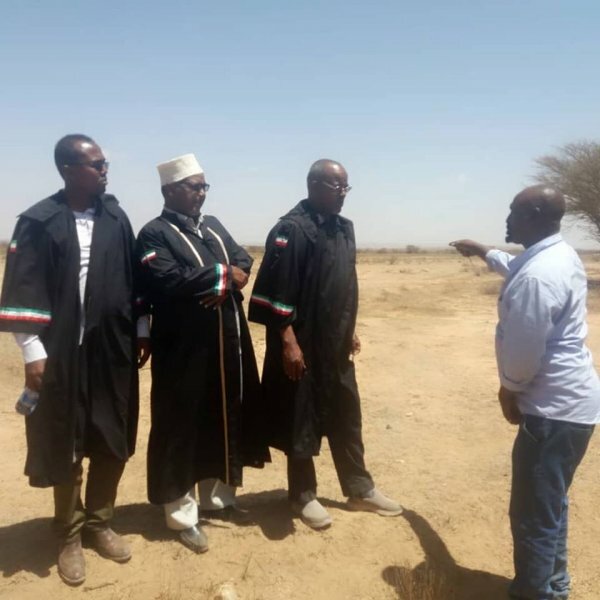 Judges are seen sitting under trees and visited remote disputed areas to determine ownership and see the land in their own eyes. This is not the first time the Supreme Court toured outside of the capital, but rather every year the court moves a couple of times. 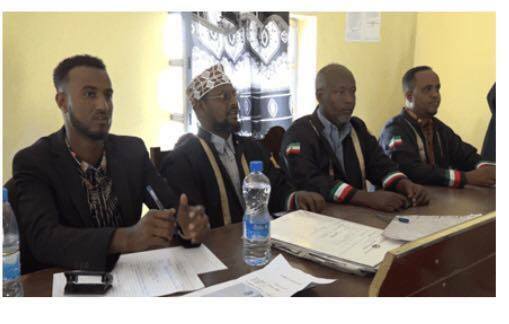 Last year, the Court heard cases in the eastern regions of Sool, Sanaag, Togdheer and Sahil. Photo: Supreme Court judges hearing a case. The Supreme Court has jurisdiction in hearing all appeal cases taken against the regional appeal courts or administrative agencies. The Chief Justice as the head of the Judiciary Commission also takes this opportunity to hear complaints from the public to take accordingly.